A BID to demonstrate against the new Mashonaland East Provincial Affairs minister David Musabayana by a section of war veterans flopped after members refused to take part, NewsDay has learnt. Musabayana, also Wedza North legislator, was sworn in on Monday, taking over from Retired Brigadier General Ambrose Mutinhiri. However, a few disgruntled war veterans wanted to protest against Musabayana in Marondera accusing him of being a top member of the G40 faction. A source told NewsDay that the war veterans were left with egg on the face after they found no backers for the planned protest. 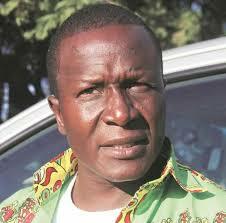 “It is true that some few individuals in the name of war veterans had planned to demonstrate against the new minister. But the demo failed to take off as other members refused to be part of such,” a source, who requested anonymity, said. Musabayana confirmed the aborted demonstration which he said was orchestrated by his detractors.